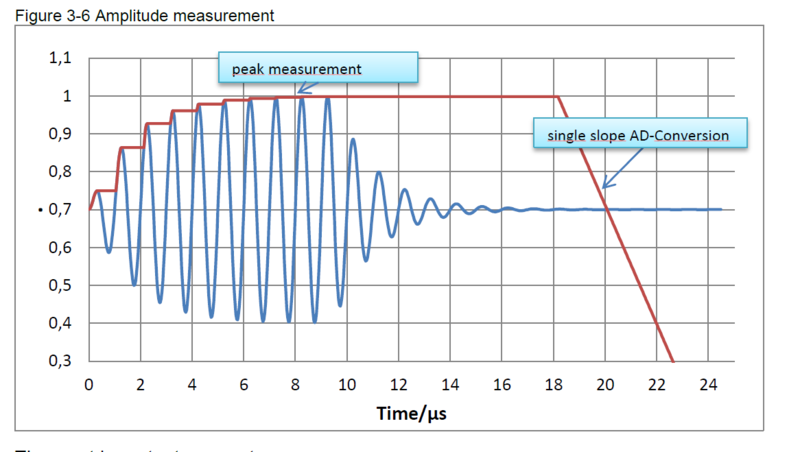 Hello, I'm looking for a method to detect the peak voltage of ultrasonic waveform. The waveform is shown in below. The frequency of the signal is 500KHz. This waveform is viewed with CH2 configured AC. 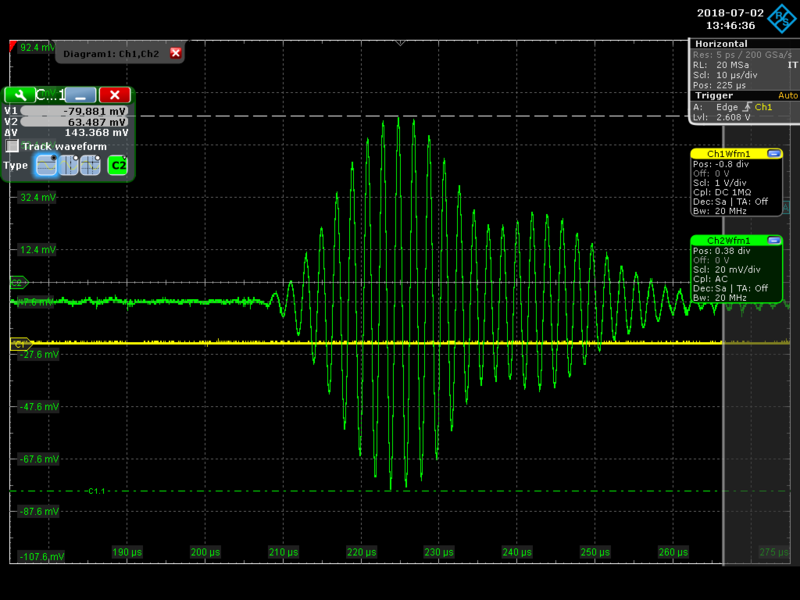 The DC bias is 1.5V and it is an output from an amplifier. I wonder if LTC5507 could do this.